Easements are a common occurrence in real estate, but what are they really? Easements differ from leases, which also confer the usage rights of a property to non-owners and also run with the land, in that easements exist in perpetuity, whereas leases have a term with a termination date. As a result, in order to terminate or “extinguish” an easement, an affirmative action must be taken like merger or abandonment. A lease, however, automatically terminates upon the end of its term, without any further action by the parties to it. There are different types of easements and easements are generally categorized in different ways. The first way that an easement can be categorized is based on to whom or what the rights of usage are granted. If the easement grants rights of usage to the owner or occupant of another property, it is called an easement appurtenant. In this instance, the property on which the easement is established is called the servient estate and the property that receives the right of usage is called the dominant estate. An example of an appurtenant easement is an easement granted to the owner of a land-locked parcel to travel over an adjoining parcel to reach the owned parcel. Appurtenant easements typically run with the land of both estates and are thus transferable upon transfer of each parcel. If, however, the same party owns both the parcel with the servient estate and the one with the dominant estate, the easement is extinguished by the doctrine of merger. If the easement is granted to a person or entity, it is called an easement in gross. The most common examples of easements in gross are the utility easements used by utility companies to enter onto land and excavate where there may be equipment in need of repair. Easements in gross are traditionally not transferable, however, there have been instances of such easement being transferred for commercial purposes. Both appurtenant easements and easements in gross run with the land of the servient estate. In the case of the dominant estate, only appurtenant easements run with the land. 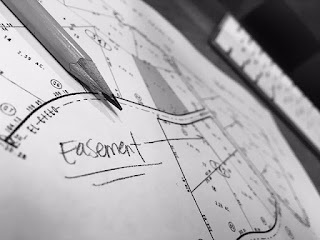 Easements can also be categorized by the method of their formation. An easement that is created by an agreement between the property owner of the servient estate and another party, it is called an express easement. Agreements that create express easements are usually recorded and affect the title of the servient estate. In most instances, however, express easements are not viewed as title defects and are exempted from most title insurance policies. Unlike most other easements, express easements can be structured to have a definite term and thus can terminate without affirmative action. If an easement is required for the use of another parcel to be possible, it is called an implied easement. Implied easements typically arise when a parcel of land is subdivided in such a way that one of the subdivided parcels cannot be accessed without crossing another adjoining parcel. If the use of an inaccessible property requires regularly crossing over another parcel, an easement of use is created. If, however, the inaccessible parcel is sold, then an easement of necessity will be created over an adjoining parcel, so that purchasing owner can access his or her property. Open and notorious use of a property as if an easement existed can create a prescriptive easement, which usually requires most of the elements of adverse possession to demonstrate its existence. Unlike the express easement, which is memorialized in a recorded agreement, formal recognition of implied or prescriptive easements typically require some sort of court action, such as a quiet title suit. As discussed above, easements can be terminated or extinguished, but require an affirmative action to do so. One method of extinguishing an easement is Merger, which is also mentioned above. Merger happens when the same owner gains title to the servient and dominant parcels, extinguishing any existing easements over those parcels. Easements can also be abandoned. Abandonment, however, requires an affirmative demonstration of the intent to abandon the easement. Merely ceasing to use the easement will not constitute abandonment. Each locale has determined the elements necessary to demonstrate abandonment. A thorough discussion of the abandonment of an easement, however, is beyond the scope of this post. In contrast to abandonment, an easement of necessity can be extinguished once the need for easement has ceased. Finally, expressed easements can be extinguished based on the terms of the easement agreement that created them. 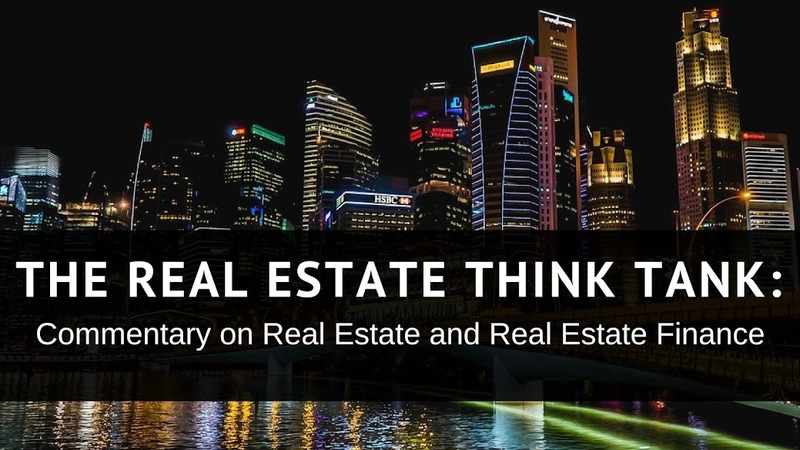 In the world of property investment and property finance, the rights granted to the dominant estate of an easement can greatly affect the value and use of the servient estate. Purchasers and financiers of servient estates would do well to be aware of and understand all easements on a property of interest. The placement of easements can also be of particular concern, especially utility easements. Property owners should be mindful of whether a utility company has an easement through a building, parking lot or valuable piece of the property, as those improvements may be materially altered or destroyed if a utility company requires access to its equipment. That is my take on easements. Please feel free to leave your comments below or share this post with a friend on social media.